Prices are now discounted for sailings aboard Viking River Cruises, praised as the number one river cruise line on Travel + Leisure’s World’s Best list for 2016. 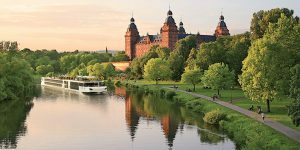 If you want to cruise through multiple European countries and maximize your time by docking in the heart of each city, river cruises are the way to go. This is part of a larger sale on Viking River Cruises. This sale covers dozens of other itineraries with prices from $150 more per person, as well as higher cabin types at a discount.